Constructed of solid die cast shells, the complexity of their sound reaches far beyond the usual constraints of metal shells. From the deep and rich attack of the Phosphor Bronze to the high end crack of the Copper, the family of C4 shells deliver a wide spectrum of sonic options. Crush is devoted to giving back to our community and supporting causes that have a positive impact. Because of this, Crush is donating a portion of all profits from the C4 line to the National Veterans Foundation. 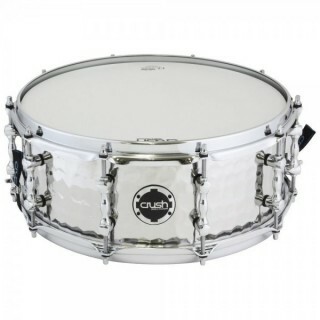 Crush 14" Stainless Steel C4 Series Snare Drum C4S14X55S SALE! 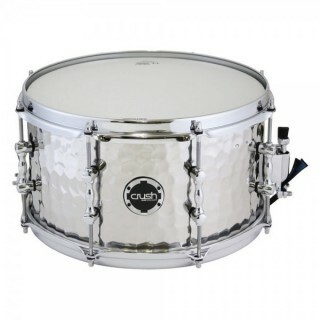 Crush Drums 13" Steel Hand Hammered Snare Drum HHS13X7S SALE! 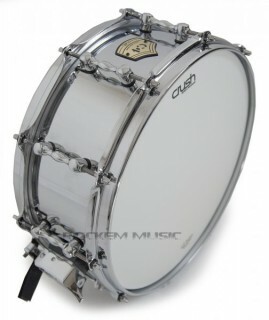 Crush Drums 14" Steel Hand Hammered Snare Drum HHS14X55S SALE!